A group of researchers in Brazil claim famed painter Michelangelo secretly painted symbols of the female anatomy on the ceiling of the Sistine Chapel. The researchers say the artist likely concealed the images as a subversion to the Catholic church, similar to the way he includes Jewish heroes and themes throughout. The interior of the Sistine Chapel with Michelangelo's Last Judgment. 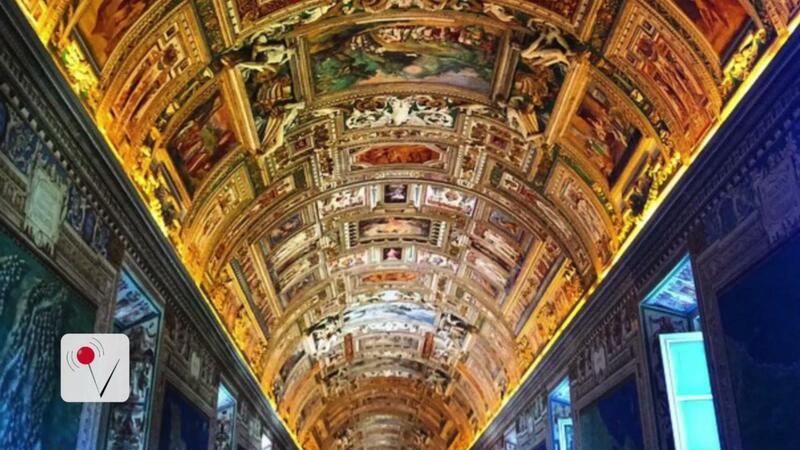 The Sistine Chapel (Latin: Sacellum Sixtinum; Italian: Cappella Sistina) is a large and renowned chapel of the Apostolic Palace, the official residence of the Pope in the Vatican City. The fame of the Sistine Chapel lies mainly in the frescos that decorate the interior, and most particularly the Sistine Chapel ceiling and The Last Judgment by Michelangelo. Italy, Rome, Vatican City, Michelangelo's 'Creation of Adam' Fresco Painting. In the study, the team notes that Renaissance art often contains double meanings, including the animals depicted, positions of characters and juxtapositions. The team used imaging software that looked for depictions of human anatomy in the legendary work. Images related to female anatomy are normally associated with a downward pointing triangle and those for males would be pointing upwards. The study found the position of Eve's arm and forearm "clearly resembles the shape of an inverted triangle" as well as bull or ram skulls, whose meanings have never been explained.